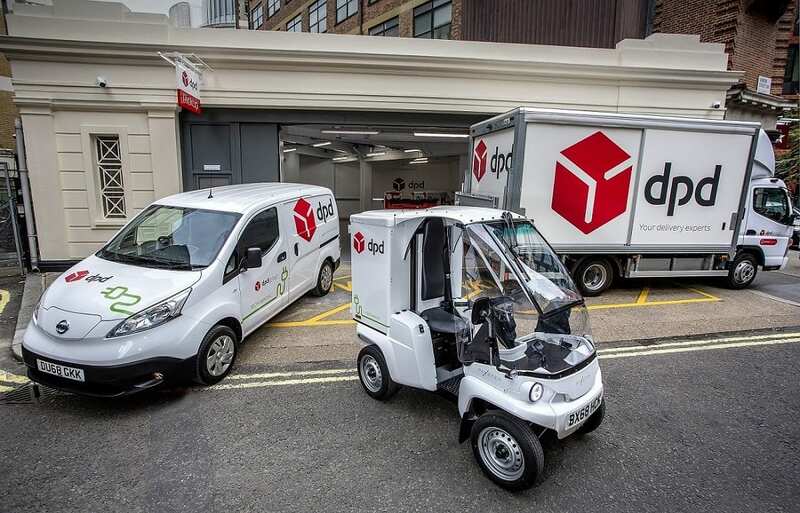 DPD has opened an all-electric parcel depot in Westminster and set out plans for a further seven all-electric sites in London. The 5,000 sq ft facility on Vandon Street will be known as DPD Westminster and will have capacity to deliver 2,000 parcels a day using an all-electric fleet. For deliveries it has bought Nissan eNV200 vans which it says are capable of making 120 stops a day. Seven of these are currently being used at Westminster. In addition, it has bought eight micro-vehicles from Paxster, a Norwegian manufacturer. These will be used for deliveries in the immediate area around the depot and can make 60 stops on one charge a day. It has a further 23 Paxsters on order. The Westminster site will also home DPD’s first owned Pickup shop where customers can collect parcels. The company expects to invest some £3m in DPD Westminster depot over the next ten years. The site for its second all-electric depot in Shoreditch has already been secured. Chief executive Dwain McDonald said: “We want to be the leader in alternative fuel vehicles in the UK, with the ultimate aim being to move to a zero emission fleet.